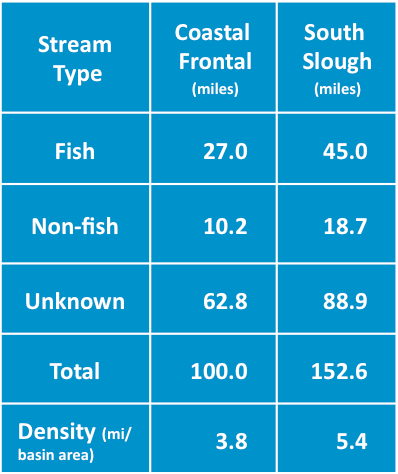 There are slightly over 250 miles of stream in the project area, of which 72 miles are known to have fish (and 29 miles known not to have fish). The status is known in about 60% of the streams. 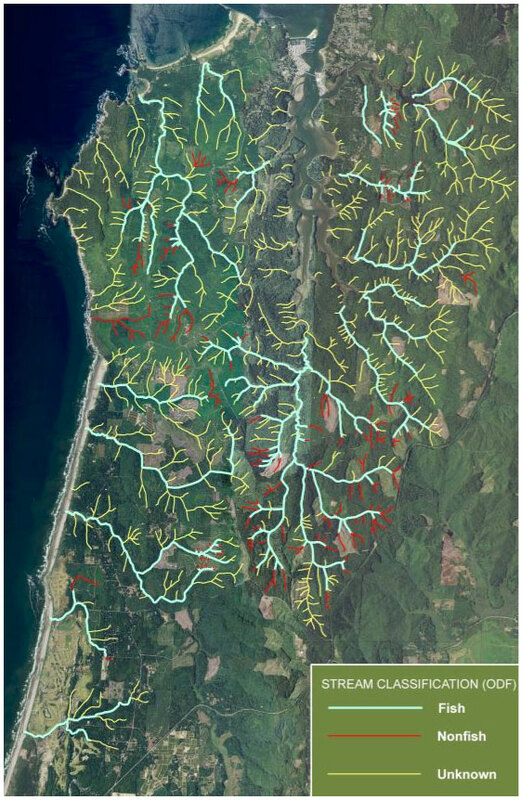 Whether fish are present determines the width of buffer areas during logging operations, and is one criteria used by DEQ to determine “beneficial uses” under the federal Clean Water Act. Fish presence also affects sizing for road culverts, priorities for restoration projects, and the types of monitoring we would likely propose.